Many adults suffer from a loss of confidence in public because of metal amalgam fillings that they have received. They are embarrassed to smile or laugh in the event someone would notice all the metal in their mouth. If you are one of these people, call Morgan-Hill Dental Care and set up a consultation today! We can discuss your options for replacing those metal fillings with natural-looking composite fillings. Composite fillings are metal free and provide a great alternative to metal amalgam fillings. 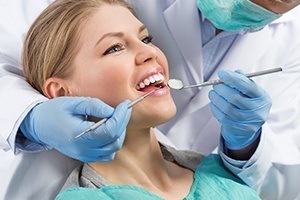 Why Choose Morgan-Hill Dental Care for Tooth-Colored Fillings? Premier Cosmetic Improvement – No Dark Spots! Composite fillings are created to match the color of your tooth so the filling is unnoticeable to anyone, giving you a natural looking smile. Having the composite filling bonded to your tooth gives the tooth more strength in the long term instead of the non-bonded metal filling normally offered. Sensitivity in your tooth is reduced because of the process of sealing the tooth during the bonding. This can be a problem for many people. There is no mercury in composite fillings, while amalgam fillings consist of around 50% of mercury. Composite fillings only take a few seconds to cure with a special curing light. This causes the composite filling to become hard and ready for use immediately allowing you to eat as soon as you please. Composite fillings are a very helpful advancement in modern dentistry, but they are not always the best choice. There are some limitations just as all filling material has some limitations. When a filling area is too large, there may not be enough natural tooth to prevent cracking or breaking. Sometimes a tooth may already be cracked before the filling is added. In these cases, composite fillings are not the best choice. A crown or onlay may be the only way to protect the natural tooth from further damage and decay. Our trained staff can help you find out which option is best for each specific tooth. Call our dental office today, Morgan-Hill Dental Care, and set up an appointment so we can help you with a treatment plan to achieve the beautiful, natural smile we all desire.